So, who pays attention to food labels anyway? According to recent statistics, more and more people are concerned not only with the nutritional value of food but also with other issues such as organic vs non organic and whether or not foods are genetically modified. Consumers are more educated than ever and are becoming increasingly more so thanks to health advocates. It is not uncommon to see shoppers eyeing the labels on foods (if they can see them) or discussing labels with other shoppers. But do these labels tell the whole truth? Americans had no need to count calories, carbs or fat prior to the 1900‘s. What started out as good intentions with the very fist government bill called the “US Pure Food and Drugs Act,” began to be tainted with greed from an ever expanding food and drug industry. The food industry started putting heat on the FDA to loosen label restrictions, with lawsuits, court battles and politics. Now, our grocery store shelves are lined with processed foods carrying deceptive labels in the biggest poison for profit scandal ever. The FDA, tired of fighting, has kind of washed its hands of ensuring true quality in foods. To understand just how mixed up the present labeling is consider the fact that 50 grams of sugar in a bag or sugar and 50 grams of sugar from an apple are treated as nutritionally equal. How about the fact that a food manufacturer can lower the fat content of a product while increasing the sugar and carbohydrate content and call the product “ healthy low fat.” In reality, this reduced fat product is probably less healthy than the full fat product, but consumers think they are making a wise choice. There are many reasons including environmental, health and ethical that people need to know what they are eating. Those advocating for stricter labeling legislation note that our government’s failure to inform us about what is in our food is a severe breach of its responsibility to protect us. Does our government send mixed messages when it spends millions on safeguarding our borders from invasion but pays little attention to the pending health threat to its people of genetically modified or processed foods ? There is some good news on the horizon. As part of an overall campaign to make food ingredients more transparent to customers, the Whole Foods Market will have all genetically modified foods in their North American stores labeled as such by year 2018. Whole Foods is the first national grocery store to set a deadline for this type of labeling. This decision, comes on the heals of proposition 37, a mandatory California GMO labeling initiative during the November election. Unfortunately, the proposition was defeated as millions of dollars poured in from such companies as PepsiCo and Monsanto against the ballot measure. 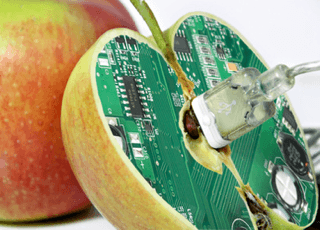 A recent poll indicates that 84% of the American people want to know if they are consuming genetically modified food. Do you want to know what you are putting in your body? Next articleWould You Brush Your Teeth With FDA-Labeled Poison? Hey Buddy!, I found this information for you: "Whole Foods Takes Stand In Labeling GMO’s". Here is the website link: https://www.thealternativedaily.com/whole-foods-takes-stand-in-labeling-gmos/. Thank you.